Fineline has the setting for you! … See, even we’re in the spirit! Grab your sweethearts, Valentine’s Day is on its way! 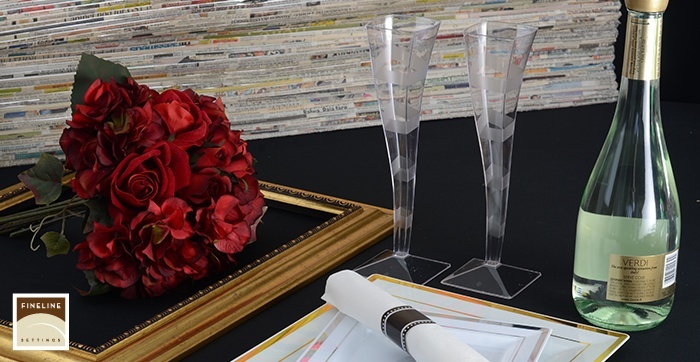 Whether you plan on hosting a big bash, or a table for two, our products will highlight the romance of any event that you have in store! 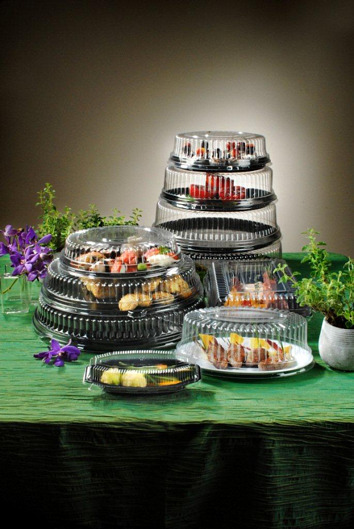 Serve your special someone with the confidence of Fineline fashion, and the ease of each and every product being fully recyclable or disposable! Whether you’re serving with our Silver Secrets Utensils, dining on one of our new Solid Square Dinner Plates, or dabbing the corners of your mouth with our Linen-like Rolled Napkin and Cutlery Combo, our products will have your bases covered so you can focus on those you love without the worry of dirty dishes! If you're looking for some inspiration, then take a look at a few of our favorite V-Day collections. FLAIRWARE is our most romantic and classic collection. 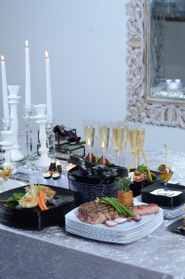 With its soft edges and flaired design, no matter whether your dining from a plate or toasting champagne in a flute, this collection will highten the occassion and delight your special someone! GOLDEN SECRETS is, without a doubt, our most luxurious cutlery innovation to date. With its glinting, spotless finish, your sweetheart will be mesmerized by the lengths you've gone to make their day so magical! TINY TEMPTATIONS is the perfect partner to a light affair. 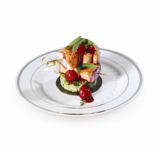 Sweet and savory dishes of all kinds will shine when served on any of these unique and beautifully designed trays, bowls, barware, or utensils! Whether its strawberries or shrimp cocktail, our tinies will leave your hearts feeling full! Now that you've got a little table inspiration to start you on your journey down lover's lane, let's take a moment to talk about what you're going to serve on our plate to your special someone! If you’re looking for some romantic menu ideas to make this Valentine’s Day extra special, then look no further, we’ve collected an array of delicious and delightful recipe ideas to help bolster your romantic repertoire! We hope your February 14th, will be full of love, health, and happiness! No matter who we are fortunate enough to share it with, we can never forget to let those who mean the most to us, know just how much we love them! Happy Valentine’s Days, from our family, to yours! I hope your'e having a great time in preparing your weekend vacation and days off from work. We will be closed in honor of Memorial Day and enjoying our time off with friends and family outdoors and indoors. With a time like this it's so easy to enjoy yourself, just go outside heat up your grill and chill! 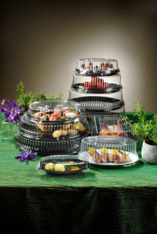 We have worked very hard in order for to have a great and enjoyable party time, our disposable dinnerware is just the perfect fit with any party for that matter, whether indoors or outdoors, upscale or just family time. 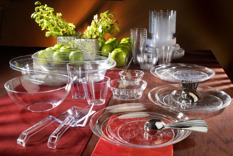 Never think of washing all those plates, flatware or cups and glasses, we have the perfect selection of everything party! Our Renaissance plates and bowl collection is just a superb choice for chic and unique, it's perfectly soft edges give that very modern look to your settings, wanna go further? 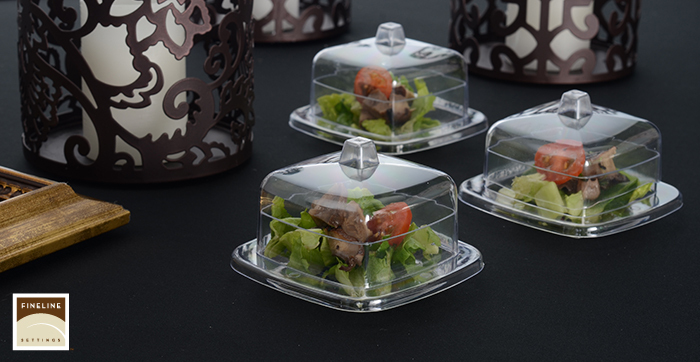 How about our Wavetrends wavy plates, they're square with a twist or the Savvi Serve collection of plates, bowls and Tumblers that can be used for any occassion. Now you gotto think of the drinks as well, we've got you covered with Shakers and Shooters and all colorfull neon tumblers as well, if your'e going for the champagne or wine rather, boy do we have some great wine and champagne stemware collection, each with it's own unique design and shape. No one will ever know on the first glance that they're not glass, no, they're not glass just disposable plasticware. 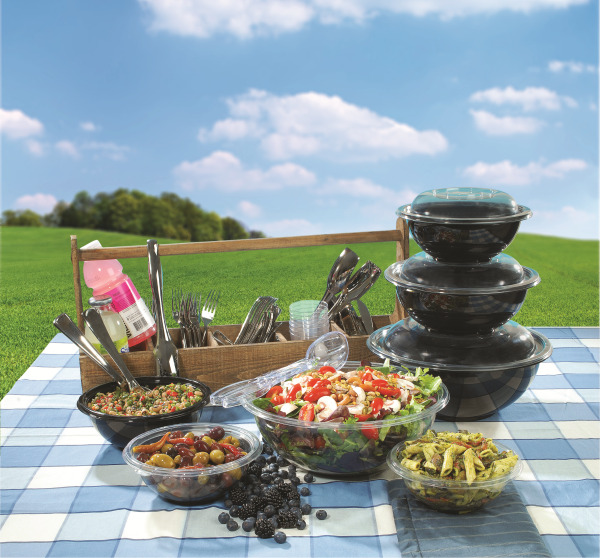 So the choice is really clear, this party will be so much better with no mess to clean up just time with your family and friends will be so much more enjoyable with our beautiful dispoable dinnerware and plasticware collection. Cheers to a great party and enjoy your Memorial Day!